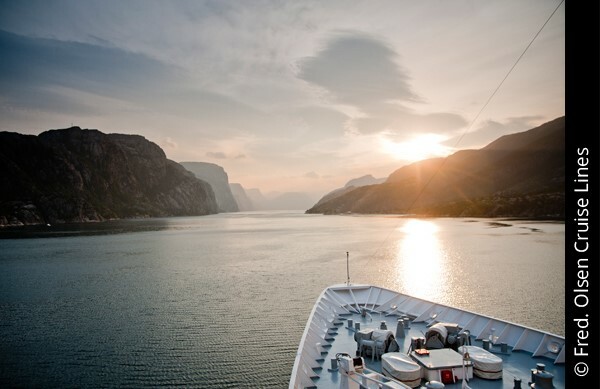 With five days of this exceptional seven-night cruise being spent in the breathtaking Norwegian fjordland, you’ll board Boudicca knowing you’re in for a holiday packed with stunning sights and memorable experiences. This tempting Norwegian Voyage is the chance to enjoy a host of picturesque treasures in a land of towering sea cliffs, shifting glaciers and some of the world's most scenic railway journeys. 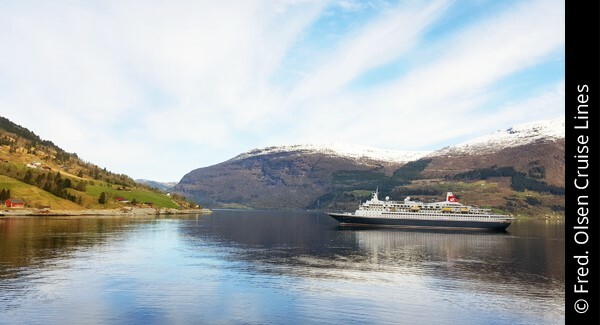 From the comfort of the Boudicca, you can experience two fjord rated top in National Geographic's list of Natural World Heritage sites, marvel at the remarkable Briksdal Glacier and explore Bergen's alluring contrast of modern and ancient. With five days of this exceptional seven-night cruise spent within the breathtaking Norwegian fjordland, youre in for a holiday packed with highlights, from the scenic delights of picturesque fjords and natural wonders within reach of enchanting villages to the attractions of Norways second city. Travel to Dover and board the ship in the early afternoon. 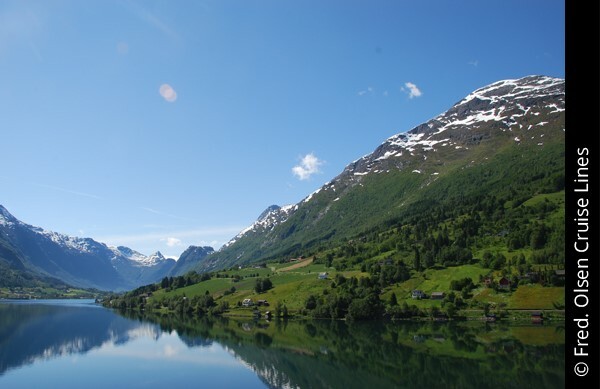 Enjoy the facilities on-board the Boudicca whilst you cruise to the Norwegian Fjords. The Lysefjord is a stunning example of the Norwegian fjords' spectacular natural beauty. Carved into the landscape by glacier movement in the Ice Age approximately 10,000 years ago, Lysefjord is lined by magnificent mountains and dramatic cliff faces some soaring over 1,000 metres high into the unpolluted skies above. On a clear day it is possible to see the famous Preikestolen a huge 604 metre-high flat mountain plateau and Kjeragbolten, a large rock wedged in one of Mount Kjerag’s crevices. If you’re very lucky you may hear the gunshot-like bang of Kjeragsmellet an unexplained natural phenomenon that’s particularly prominent in the winter months. 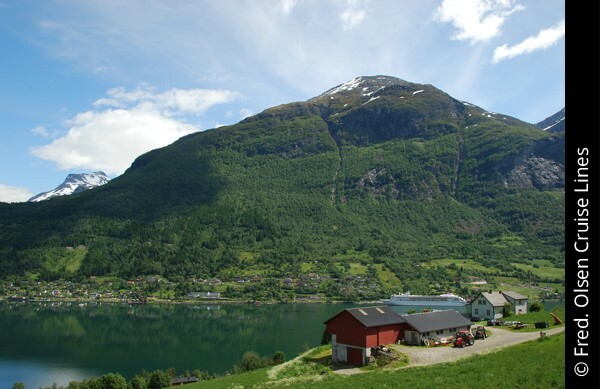 The sixth longest Norwegian fjord, and one of the most picturesque, beautiful Nordfjord stretches from mainland Norway's western-most point overlooking Stadhavet, Sunnmørsalpene and Ålfotbreen to the magnificent Jostedalsbreen, Europe's largest inland glacier. Flåm is a tiny village on the banks of the Aurlandsfjord, a branch of the spectacular Sognefjord the longest and deepest fjord in Europe. Situated amongst scenes of picturesque orchards, hamlets, cottages and farmland, this is one of Norway's most breathtaking locations. Enjoy your last day on board the Boudicca. After breakfast disembark the ship and make your way home. Please note that we are unable to offer insurance on this cruise but please contact 247 Travel Insurance on the following number 02392 419 044 and quote reference GRE0578 for a personalized quotation. Insurance must be purchased prior to travel in order for Fred. Olsen Cruise Lines to allow boarding, should you book your cruise and not be able to get insurance, deposits are non-refundable.